Marquardt Printing has been a family-owned business operating in the Burr Ridge, Illinois area for over 40 years. 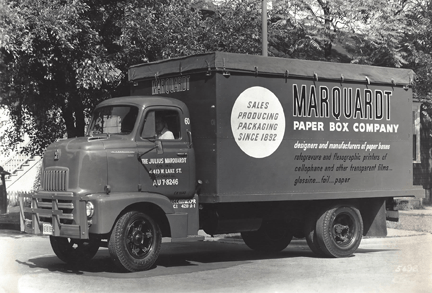 We began as a small paper box making company located on Lake Street in Downtown Chicago, called “The Julius Marquardt Co. Inc.” and have since grown to be one of the largest and most productive printing companies in the Western Chicagoland area. Our business has grown from manufacturing boxes of all kinds using rotogravure and flexograph technologies, to printing to beautiful 6-color brochures, catalogs, and postcards using the most current printing technologies known in the printing industry. Many aspects of the printing industry have changed over the years, but one thing we have always strive for is 100% customer satisfaction. We have a highly professional and educated staff who do all things necessary to ensure each customer gets the best possible service. Every job, no matter how small or large, is carefully watched over throughout the entire printing process. Our team is always available to answer questions or offer advice. 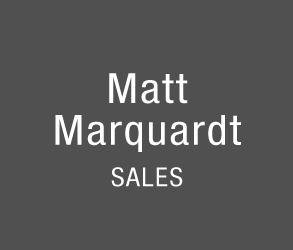 Our customers are not just clients, they are a part of the Marquardt Printing family. We are your one-stop shop! We can print the postcards or brochure that explains your business to the direct mails that help you advertise your name through the mail. If you think of it, we can do it! We look forward to fulfilling your printing needs. Over the past forty years, we’ve worked with industrial manufacturers, museums, creative firms and everyone in between. There’s no print job we can’t make work, but we’ve especially proved our value to healthcare providers, businesses and educational institutions in the greater Chicagoland area. That’s because we understand the unique demands of each client—and we know the print challenges they face. In business for over 35 years, Marquardt Printing is dedicated to providing you, with the best, most stress free printing experience possible. We pride ourselves in producing the highest quality jobs at very competitive prices. Here at Marquardt Printing we understand that the client comes first, and will work with you in each and every aspect of the printing process. From file setup to press checks, we will make sure you are taken care of all the way. We are a team of young and enthusiastic designers, marketers and developers who are specialized at creating professional premium WordPress themes. Our mission is to build user–friendly, clean and modern designs in order to help more and more users improve their livelihood. To us, customer is king. We guarantee that we will invest all of our skills and strengths into products and support.